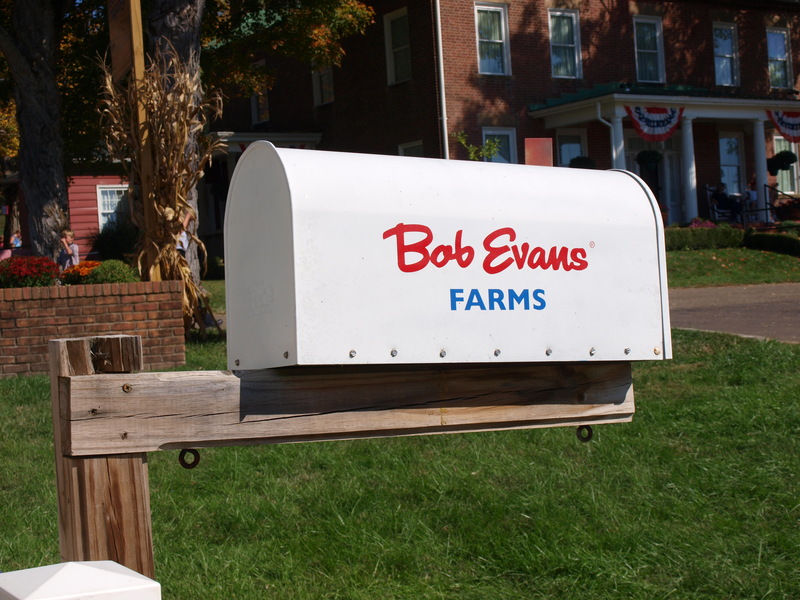 Two Peas Down on the Farm….Bob Evans Farm! I love Fall I love everything about it the colors, the smells, wearing sweaters but most of all the festivals and pumpkin picking farms. Every year we try to go to as many as I can get my family to attend. 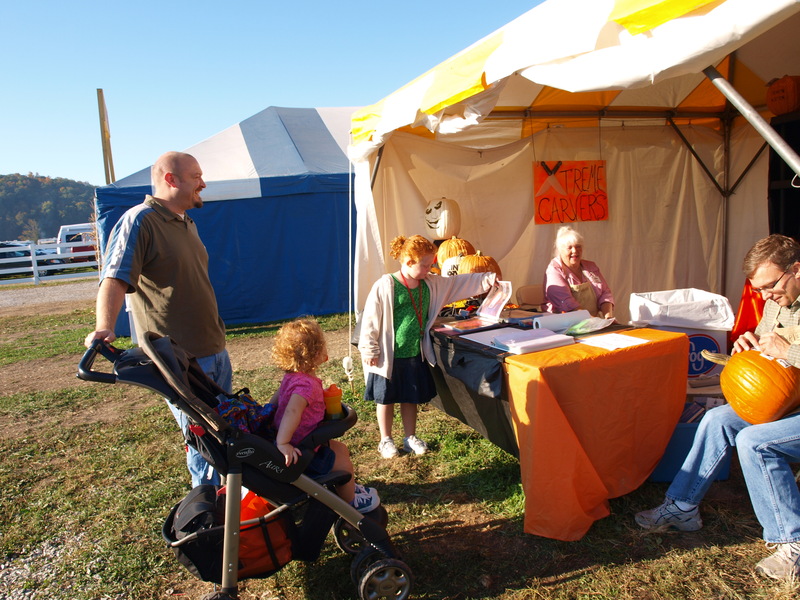 This year was special, this year we got an invite to attend Bob Evan’s 40th Annual Fall Festival in Rio Grande Ohio. Now, if anyone is like us we didn’t vacation this summer since we are trying to save money therefore; keeping all ourtrips close to home. This was perfect it was only 2 hours away and after reading about the past festivals online (yeah we googled it LOL) we didn’t want to miss it. My family had a few things we couldn’t wait to see and have to admit that is where we spent most of our day. 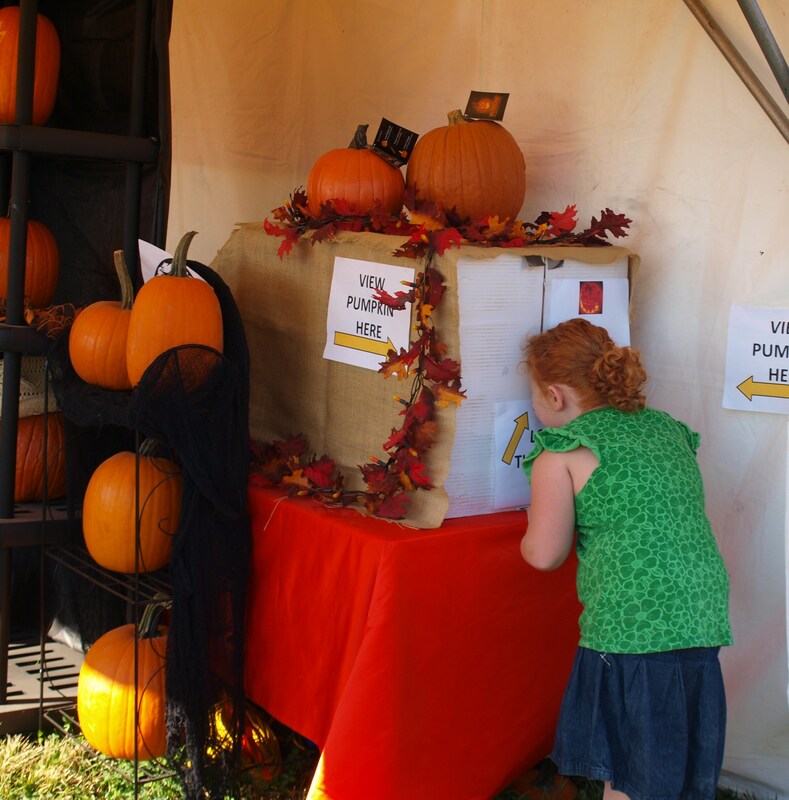 Our first stop the Extreme Pumpkin Carving tent! This is where we met Michael Conner and his lovely assistant for the day his Mom which was perfect for such a family friendly place. 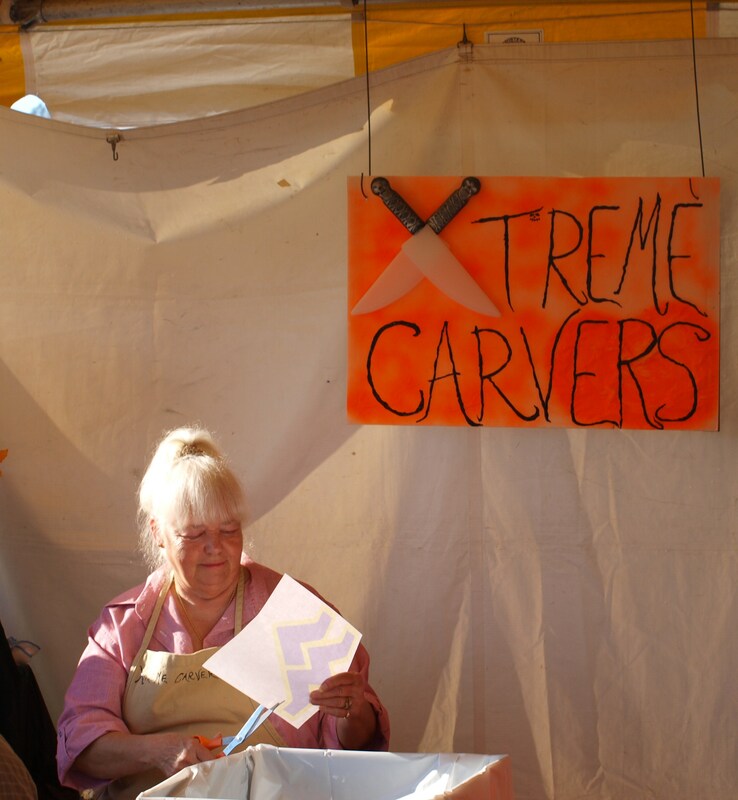 Dad of 2 Peas was able to get a lot of tips from this X-Treme Carver after all he has been doing this for 7 years and loves it. 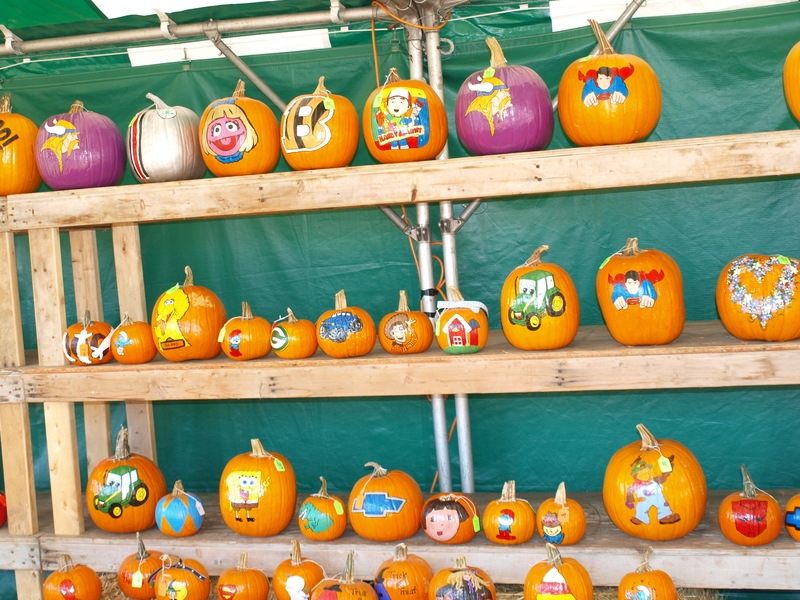 My husband has been carving fun pumpkins for the peas and can’t wait to try something new. A tip he gave me was to sprinkle the inside with cinnamon so it smells like pie when lit and to coat the outside with vaseline so it last a little longer! 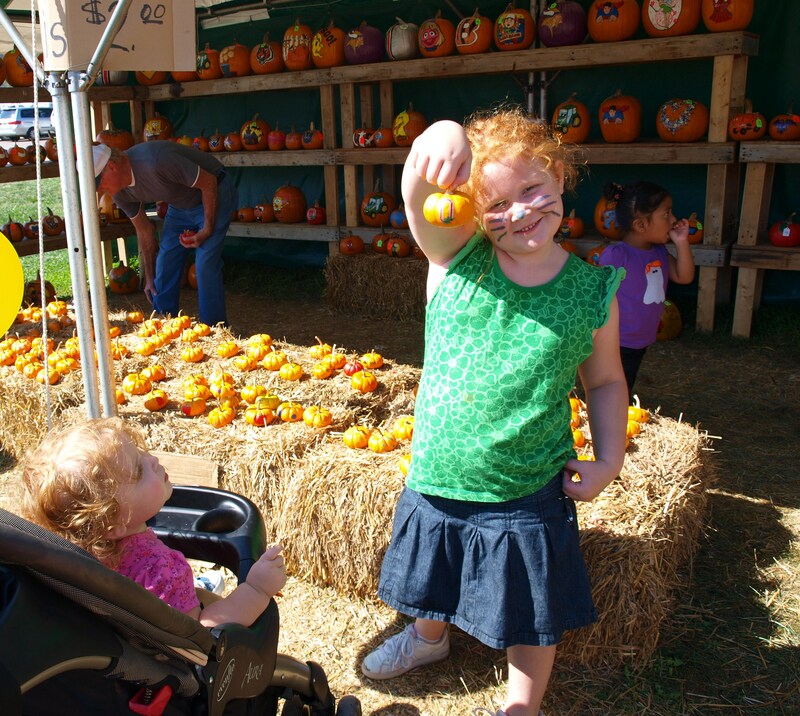 The pumpkins were amazing and Pyper kept going back to look a pumpkin that was carved the day before, it was lit up in a box so you could see every perfect detail. It was a pleasure talking to these two and if you would like to check out Michael’s website it’s here at www.xtremecarvers.com ! 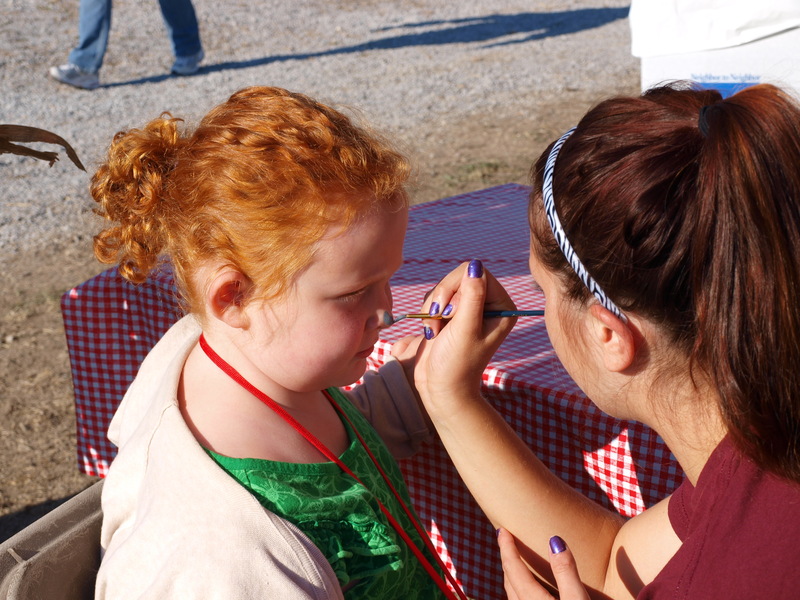 Phoebe wasn’t to interested in getting her face painted she is only two so she was just happy not to be stuck in the stroller the whole time! The grounds were perfect we didn’t have to worry about her getting trampled or run over by random four wheelers like some other festivals we’ve been to. I kid not when I say family friendly! 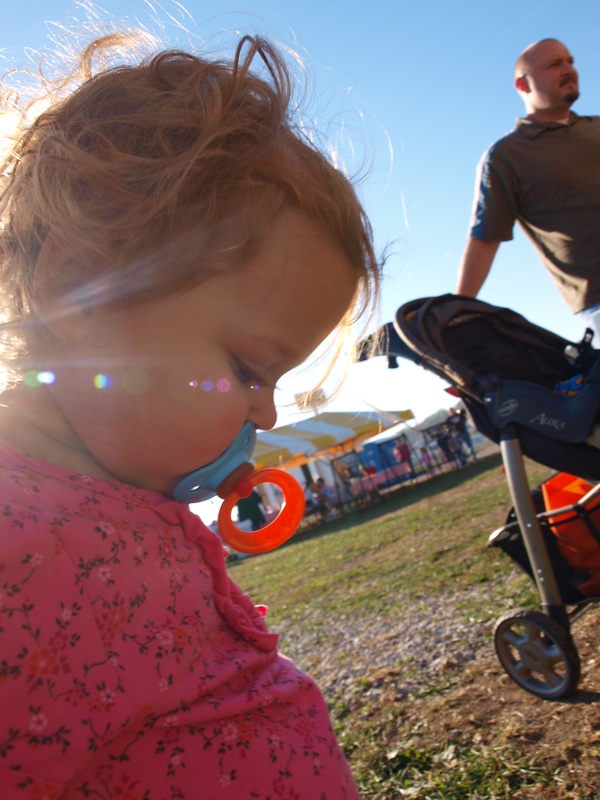 We were already in the Kid’s Farmyard Fun area so we ran over to the tractor train ride, Phoebe was just a little small so just our little kitty went on the train. We got on this ride super early so she got the train practically to herself! When she got off the line was around the fence so she decided to come back later for another trip around the barnyard. Just a little ways over what did they see??? the haymaze! and that you won’t see here the pictures were fuzzy but trust me they both loved it! We did get good shots of the Hay Castle though see the oldest pea up there waving all coy! 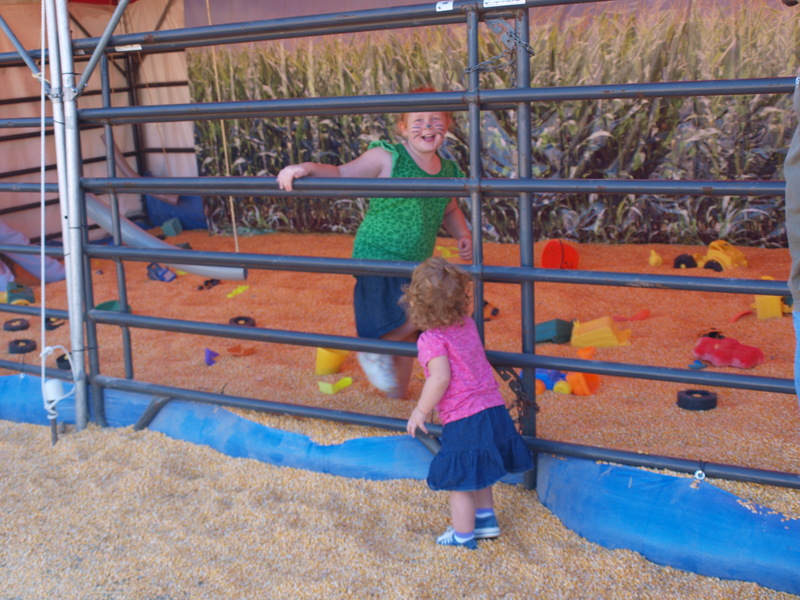 and the Corn Pile that Phoebe loved and Py didn’t want to get out of ! 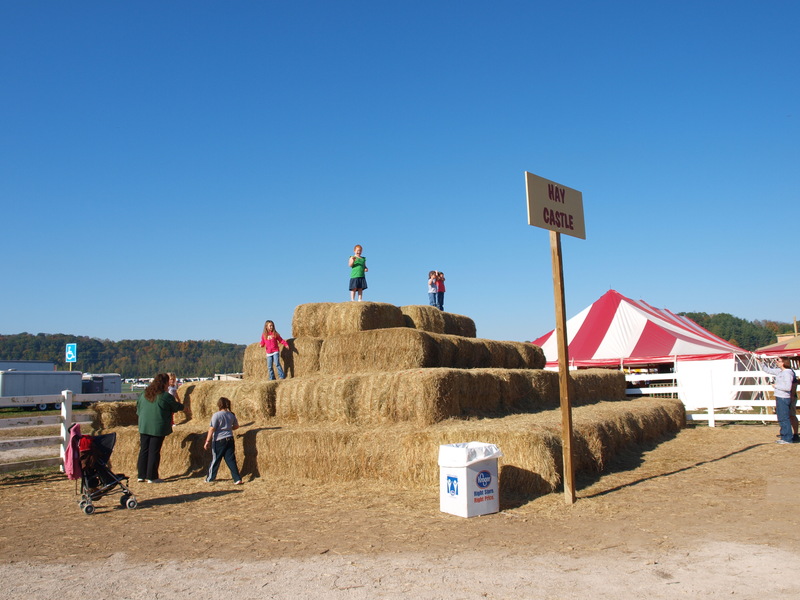 Once we got the Peas away from this fun filled corn pile we ate lunch at the food tent and it was so good all us girls ate chicken sandwiches, fries and cole slaw and Chad had the brat, fries and baked beans …… everything was so good, so good in fact that Py stole Daddy’s beans! 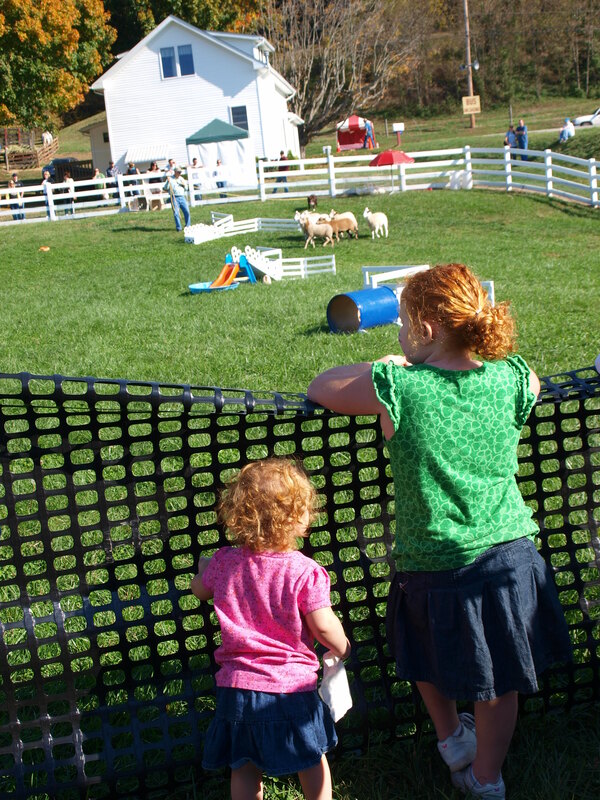 We ate right behind where the Border Collie Demonstration was happening, the best party for Phoebe …… SHEEP!!! she was so impressed that there were not only dog, and ducks but there were sheep right in front of her little eyes. This city pea is obsessed with sheep I love it! 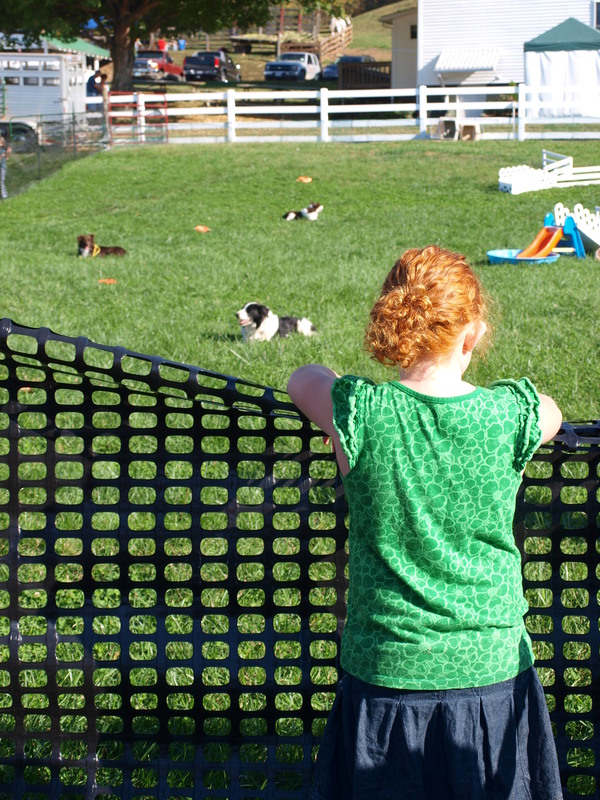 The dogs were amazing they herd the sheep, jump over the sheep, herd the ducks and did everything Mr. Jenkins asked them to do. Then Mr. Jenkins saw a little cat and couldn’t resist talking to her….Py got a little shy and Phoebe ran to Daddy to discuss sheep. Pyper loved this demo I honestly didn’t think it would interest them as much as it did but they loved it I don’t think Py has paid attention for that long in forever LOL! Dave and Jan Jenkins the owners and operators of Jenkins Border Collies near Mansfield, Ohio. To learn more about them and their dogs go here http://www.jenkinsbordercollies.com ! 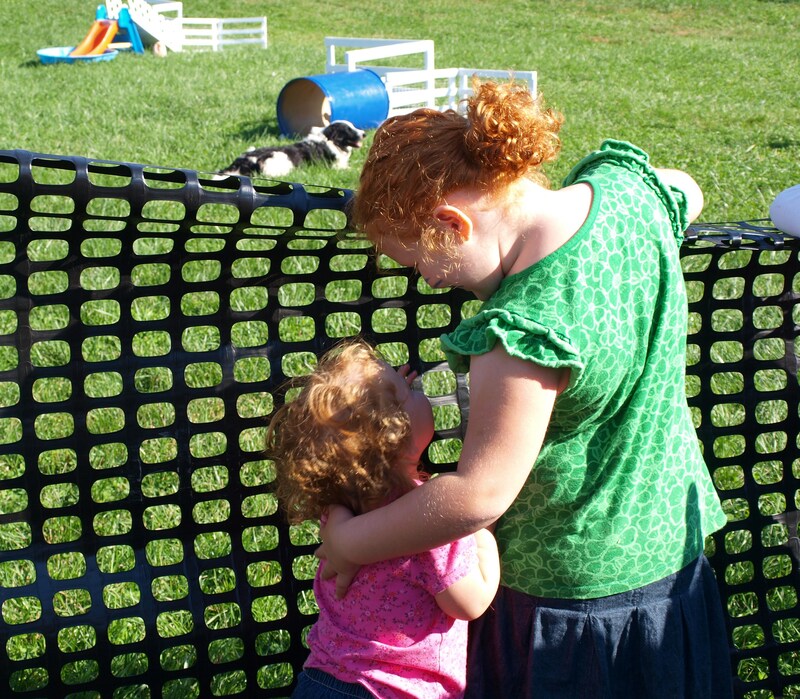 After we got the girls away from yet another fun thing we ran through the Dairy tent brought to you by http://laurelvalleycreamery.com only to find more…….SHEEP! The girls pet a calf, and ran straight to the sheep. 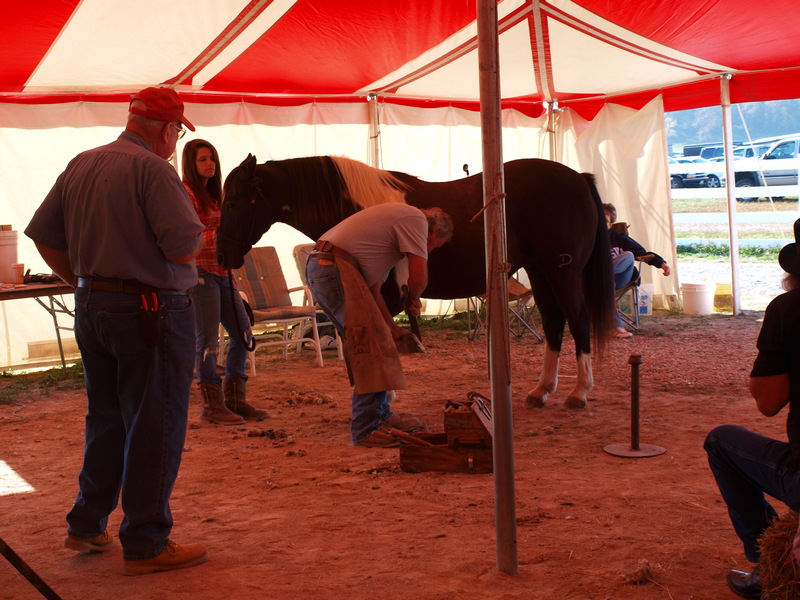 We unfortunately missed the sheep shearing demo but got to watch Dan’s Farrier Service give a horse some shoes. Phoebe was in sheep and horse heaven, we really need to get this girl to the farm more often! 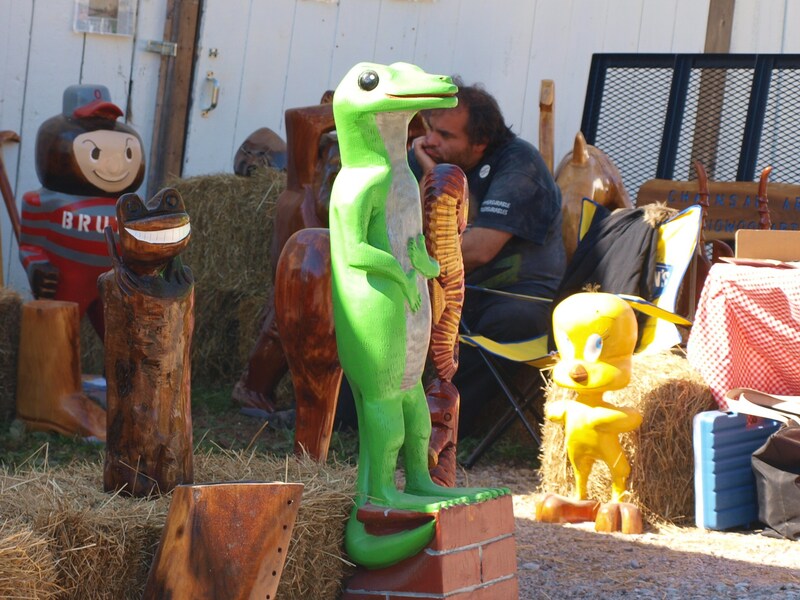 We then went up the hill to see the Chainsaw Carving Demo now that was cool! because who wouldn’t want this gecko in your front yard?? I know I would! Just magnificent! 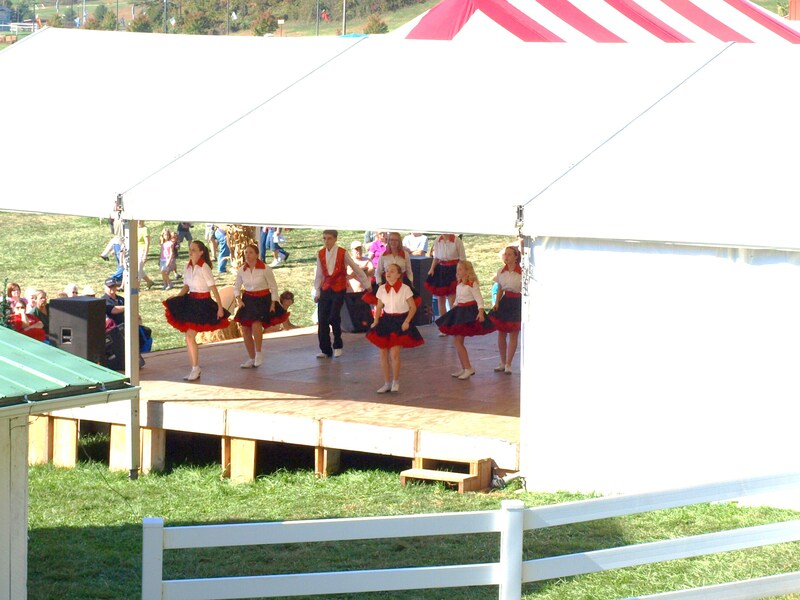 When we were on the hill we saw these step dancers, the oldest pea is taking tap so we stood there for quite a while watching it was fun to watch kids of all ages were dancing it looked like from 7 to 70! We were getting pretty tired at this point it was such a great day! 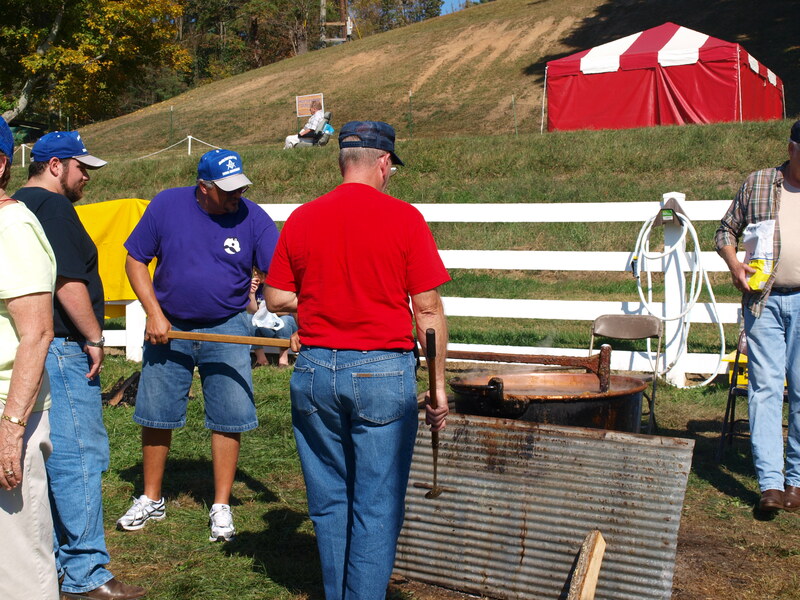 But before we left there were just a few more things I wanted to see like Apple Butter being made! 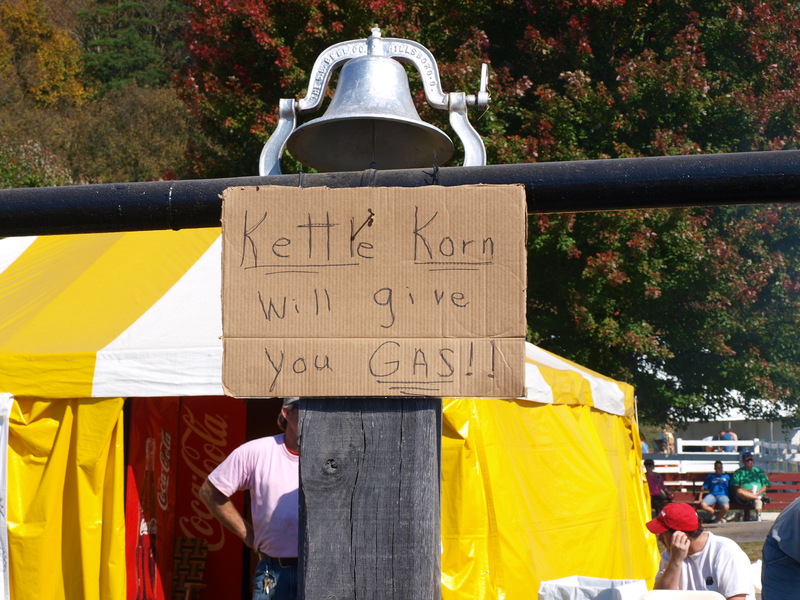 Then the Beannie Boys they were hysterical they danced around, called people out of the crowd to try to beans and had a little competition with the kettle corn folks…..that is where I sent my husband to grab some of the best popcorn ever! 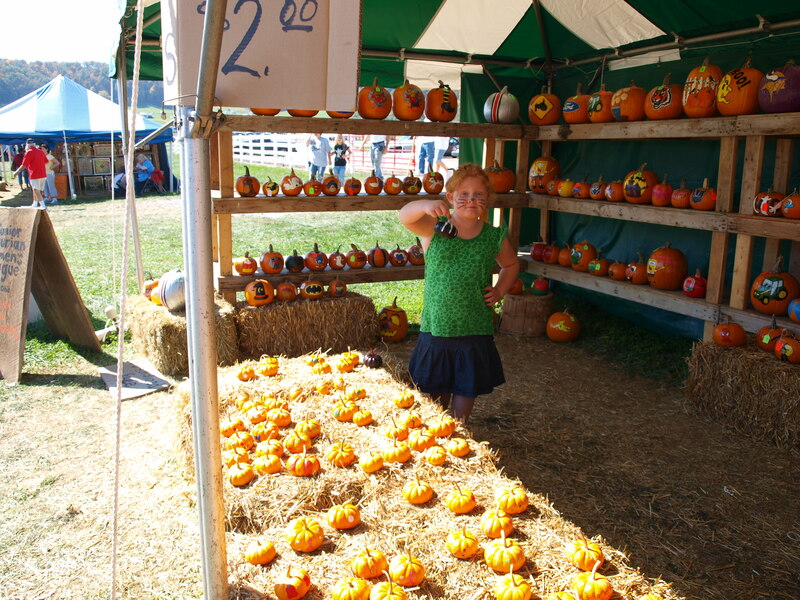 Last but certainly not least one of the town civic clubs were selling painted pumpkins and the peas wanted tiny ones……they were awesome all kinds to choose from! Look at those ! The Sesame Street characters were Phoebe’s favorite and Py like Casper……but they really wanted the minis and Pyper showed them all to Phoebe and found the best one! They ended up picking these and the ladies were kind enough to paint the peas name on them so cute! Our day was filled with fun and regretfully we didn’t get to the half of what they had to offer we really should have made it a weekend trip. 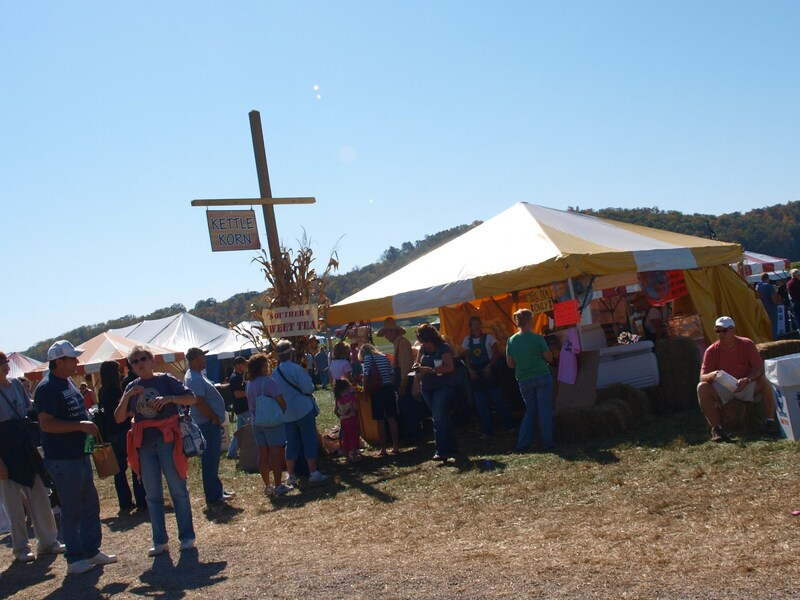 Bob Evans has a campground right there where the festival is held and it would have been so fun. There is also a few hotels down the street for those non-campers too. 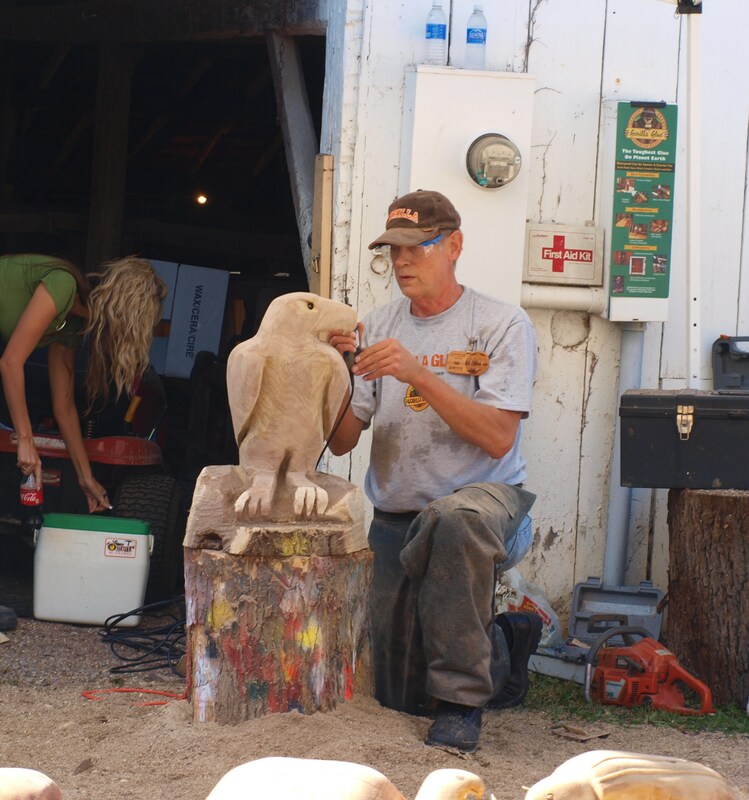 We paroosed some of the craft tents but to be honest I didn’t get any pictures we were too busy talking to all of the artisans I never thought to starting clicking, SO I guess you will have to go next year to see the over 40 plus crafters and artisians that were there. They had everything from clothes, fudge, jam, paintings, antiques and of course Bob Evans memorabilia (I got a magnet!) We didn’t go into the old Evan’s house at all because well…..the peas sort of touch EVERYTHING so …. maybe next year but you can see it on the first pic in this post. There was a huge line but it seemed to move pretty quickly. It’s that great history lesson for you and your family I mean who doesn’t want to know who is responsible for that sausage gravy! or how about that banana bread? 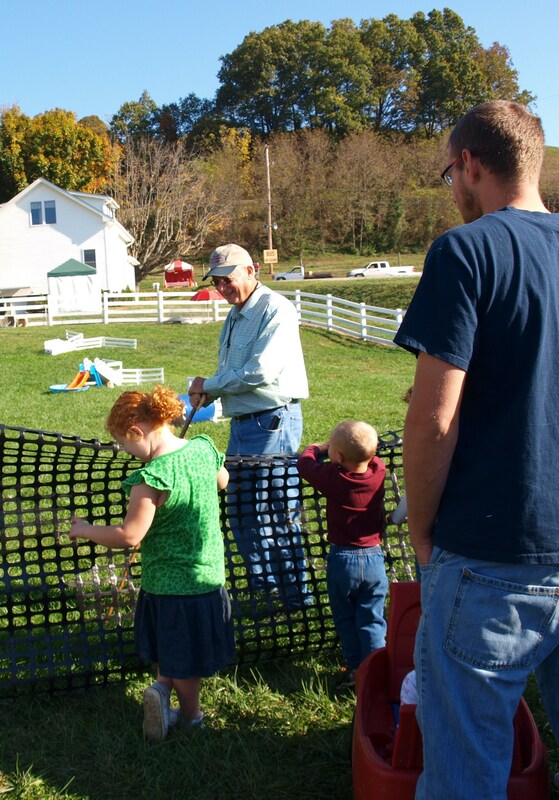 for the time being you can visit Bob’s website www.BobEvans.com you see all of the upcoming events too. When we got out visitor’s guide they gave us a pamphlet of all the upcoming events, did you know they were open all year? They have horse riding at the Rio Valley Stables located right there at the farm visit them at www.riovalleystables.com . While you are there the Homestead Museum that we missed is right there behind the open Bob Evan’s restaurant which by the way has an ATM that you may need to know as we forgot to get cash when we left home and got there without money and this Mom of Two Peas needed her kettle corn! 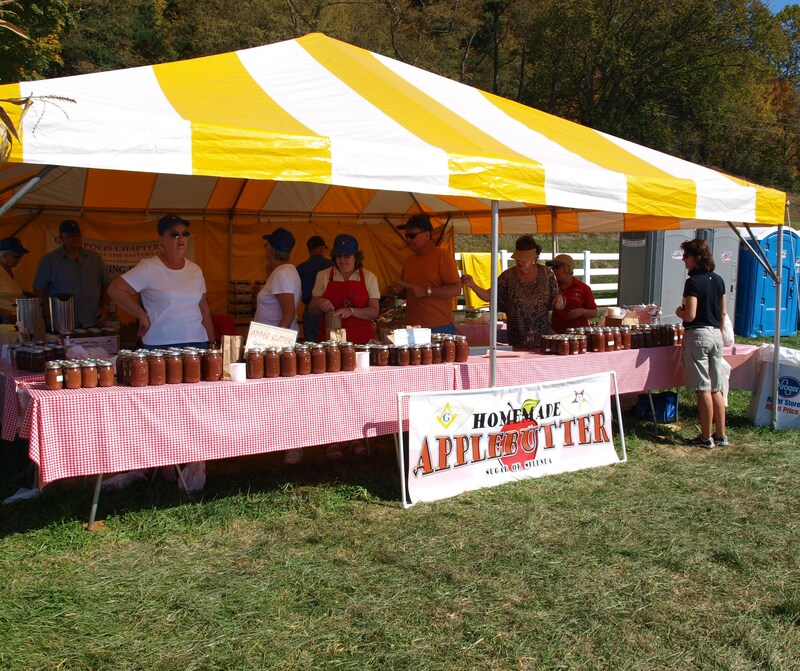 Our days flew by and it was time to go to home as we walked to car we passed one last vendor…. 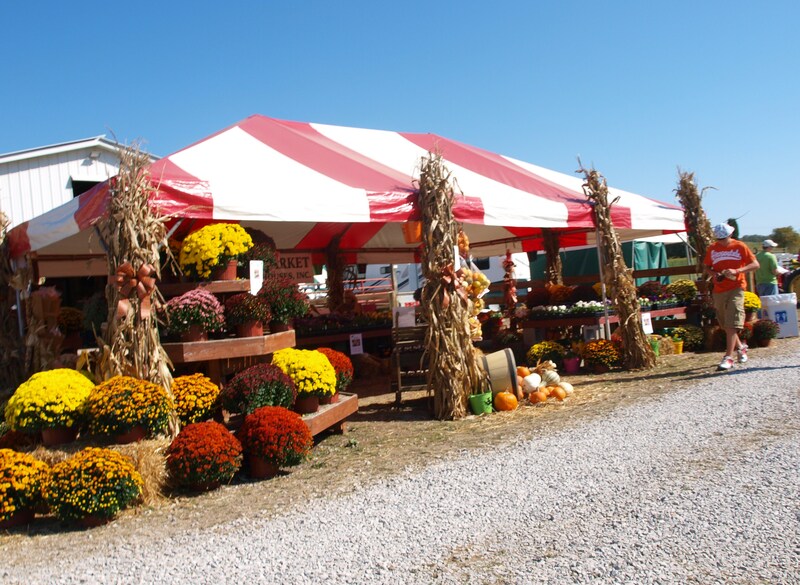 http://www.bobsmarket.com/ OH the colors those mums, those gourds those pumpkins! Where did my family go??? AHHHH wait for me I got distracted!!! But who wouldn’t I got one last picture as I ran to catch up…. My family and I would like to thank Blake Mathews at Brunner (for Bob Evans) for introducing us to this event your hospitality sir was wonderful and very much appreciated! So pack it up people and explore Ohio just be sure to start here! This entry was posted in Family Fun, My girls. Bookmark the permalink. ← It’s A Pillow It’s A Pet…. I have to say I can’t look at this on my work computer! Your beautiful pictures get cut off somehow…..so I will look again tonight in the mean time how fun was that??? 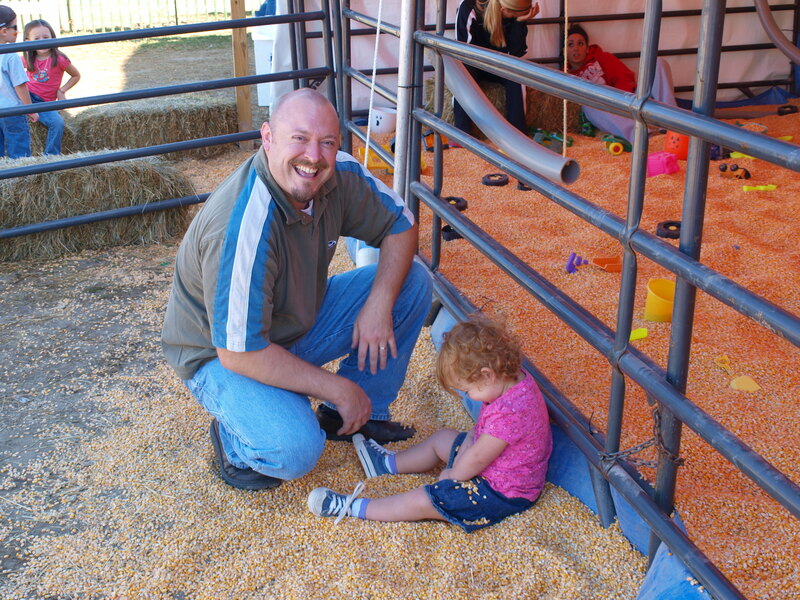 Even I want to jump in the corn pile and stir up some beans and you know I am so not into outdoor activities LOL! But I am in to shopping ! Next year we will have to go with you! I am infatuated with the peas! Thank you for sharing, I love stopping by your blog the girls are adoreable and your pictures are just getting better and better as you blog. Keep up the great work! And come on people leave some comments I can;t be the only one reading out there LOL! 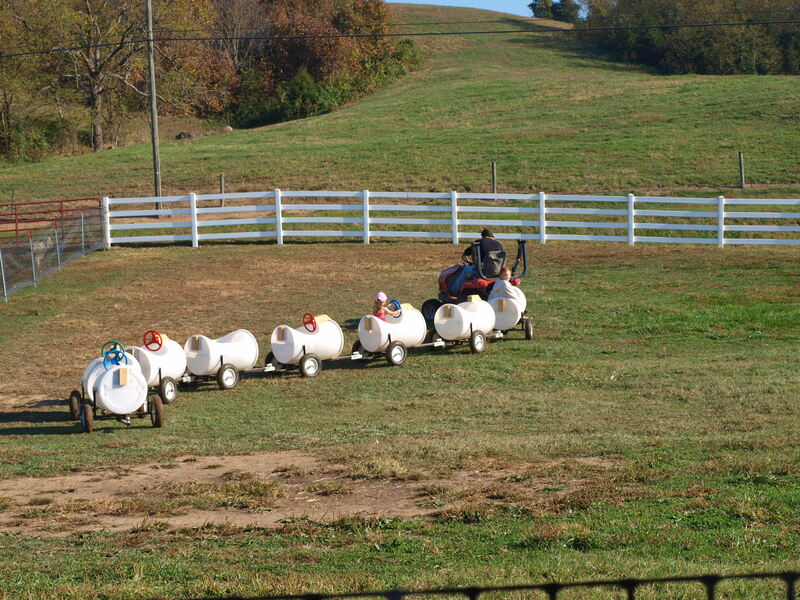 I’ve always wanted to take the kids down to the Fall Festival at Bob Evans. Thanks for the photo tour! 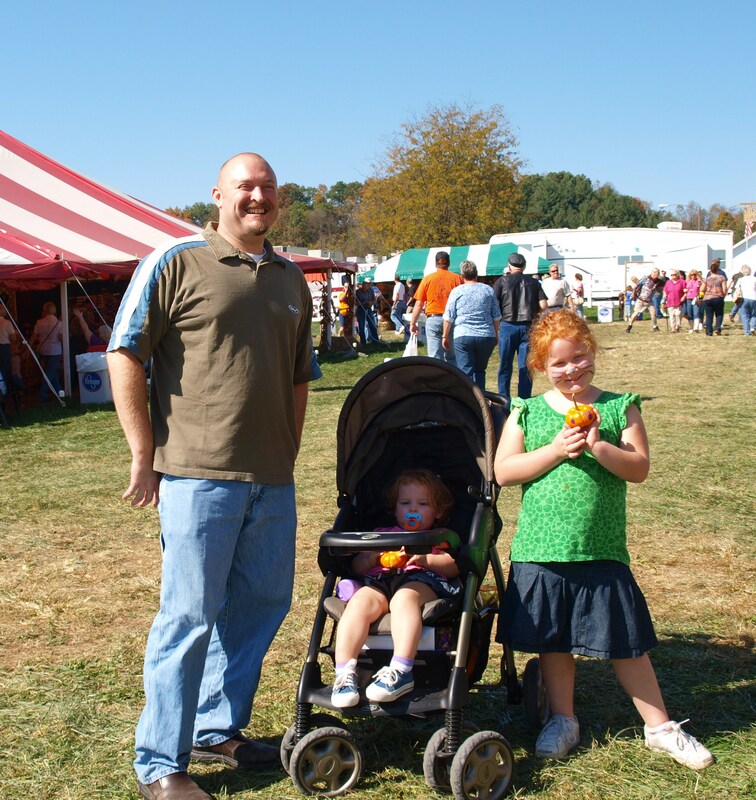 Maybe someday if I move back to Gallipolis, you and your family can stay at my place for a weekend getaway to the Bob Evan’s Festival. And we just may take you up on that, it really was fun I just wish I could have had more time for all the artisians tents. My husband on the other hand might have been glad we didn’t, I would have bought everything!